There’s a new unicorn in town and it comes with extra sparkles — Secret Sauce - Tech news, explained. Anyone else getting Soylent vibes from Glossier's branding? In just a few short years, Glossier has grown from a side-project blog into one of the most influential beauty brands, generating more than $100 million a year in revenue. Glossier Founder and CEO Emily Weiss started the blog Into the Gloss in 2010 while she was a fashion assistant at Vogue magazine and leveraged her knack for content to carve out a place in the Instagram world for an extremely engaged skin care-centric community. Weiss focused on the growth of that community for four years before ever launching a product. In 2014 Glossier officially launched with its first direct-to-consumer product line and the company has been a darling for customers and investors alike ever since. Glossier raised its series A in November 2014, led by Thrive Capital. By that point in time, Thrive had already invested in other successful direct-to-consumer startups including Harry’s (men’s razors) and Warby Parker (eyewear). 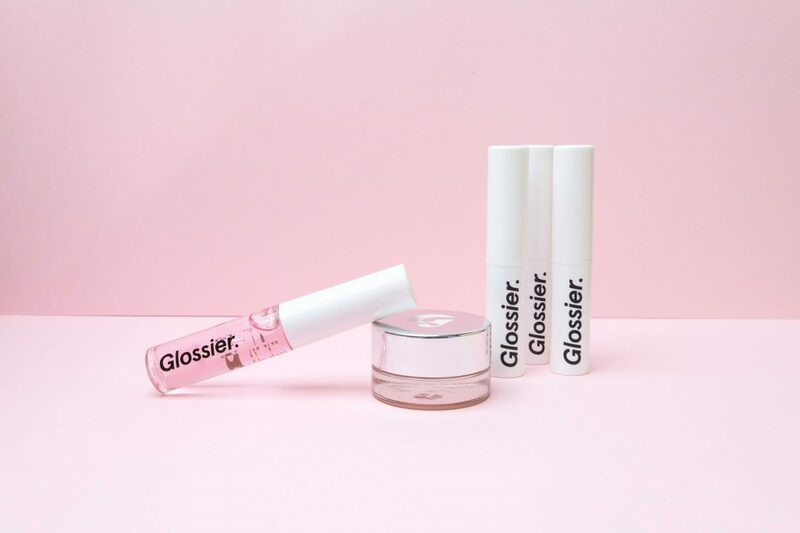 Like Harry’s and Warby Parker, Glossier centered its growth strategy around its customer-centric brand and online-only retail with a limited product offering (Glossier’s initial line only had 4 products). Weiss and her team built a killer social media presence, and with it, a powerful rep-driven referral program. Today, Glossier has nearly 2 million followers on Instagram -- and monetizing its following is about to become even more seamless. On the same day that Glossier became a unicorn, Instagram announced Checkout -- a new feature allowing users to buy stuff without ever having to leave the app. There are just over 20 brands (ranging from Prada to Uniqlo) piloting the new feature and although Glossier is not included, you can bet your bottom dollar that they are high up on the list of who’s next. Checkout could very well mark the next big thing for direct-to-consumer brands. Instagram is already ubiquitous in D2C strategy, but until Checkout was introduced, even brands with millions of followers still had to deal with the friction of getting users from Instagram onto their retail site to drive purchases. Google announced their new cloud gaming service Stadia will be launching this year -- basically allowing anyone with any device that has Chrome browser and internet connection to play games without the need for expensive high-end gaming setups. How's that? The heavy-duty gaming computation will be done in the cloud and streamed to your device. Pretty neat -- subscription pricing is TBD and you’ll need to buy the controller. In the wake of the Christchurch terror attack that was live-streamed on Facebook, the company published a debrief of how exactly it responded to the incident -- and that transparency is a step in the right direction. Facebook has been under increasing scrutiny to moderate content more effectively (think fake news, violent video, hate speech, and conspiracy theories). But getting it right is really hard -- content moderation is a messy, ambiguous, moving target. And we’re just learning about the human costs of moderating dark content -- moderators are paid poorly and often develop trauma related mental illness because of the constant exposure to the worst of humanity. One of our goals is to encourage more of our readers to start their own venture one day. With that in mind, we’re going to get meta once a week and talk about what’s going on behind the scenes at Secret Sauce. We’ve been thinking a lot about focus lately. We spent the first nine months in business testing a lot of different content formats. We’ve been writing this newsletter, teaching workshops at universities, interviewing startup professionals on our podcast, and connecting people with great companies via our job board. And simply put, we need to make some content cuts. We’ve decided to double down on making this newsletter the best it can possibly be and put everything else on hold. It’s the one thing we feel we’re uniquely qualified to do and honestly, it’s what we love to do. We love digging through the sea of garbage that is the internet to deliver the most important stories. We love diving down research rabbit holes to provide big picture context. And most importantly, we love arguing over wordplay. Stay tuned. We’ll be testing new content formats over the next few weeks. And as always, you can respond directly to this email with feedback anytime. We saw a substantial bump after we wrote a guest newsletter for the amazing young women at #BUILTBYGIRLS. Cross promotion with like-minded organizations is a valuable growth avenue -- even if it takes a while to form relationships.